Sahir Chaudhary from Jaipur House has been voted in as School Captain for the 2015 academic year and as overwhelming support from the boys at school. 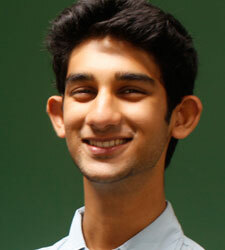 Sahir is currently studying the IB and is very keen on drama. He will be applying to Cornell and other colleges and universities in the USA and hopes to study Architecture. If successful, Sahir will be following many Dosco’s who have, in recent years, been given places at Cornell. Congratulations to him and to the other successful prefects.